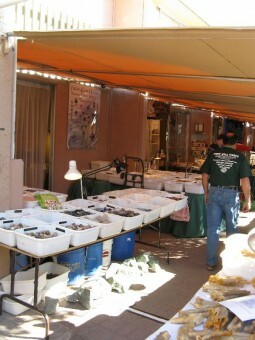 The Tucson Gem and Mineral Show is actually a collection of individual shows located all over the city. 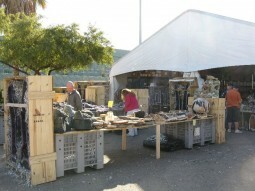 In general, the main categories of items that you can find at the Tucson Gem Show include rough and specimen stones, beads, jewelry (both expensive jewelry and less expensive jewelry made out of lower grade stones), imported items, carved healing stones, large display stones and crystal cathedrals, and home décor. If you only have a short time in Tucson to get a good taste of the show and to get things checked off your shopping list, this is the best place to start. The north end of hotel row is anchored by the Days Inn, and it finishes up on the south end near the Howard Johnson and the African Village. In between are days worth of stones for you to discover and hidden corners to explore. 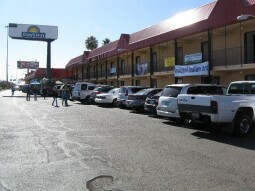 Location: Hotel row is located on the west side of Interstate 10 in downtown Tucson. Click here for a map. Parking: Parking is limited along hotel row, so you will have the easiest time finding parking if you get there before 10:00am. The cost for parking on hotel row this year (2012) was $5 for the closer lots and $3 for the lots that were further out, so not expensive in relative terms. 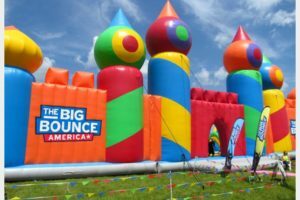 Some of the lots will allow you to come and go, and some you have to pay for each tome you enter, so if you are planning on leaving during the day and coming back, it might be worth finding one that will allow you to come and go. Bathrooms: Many of the hotel lobbys have bathrooms, but they are not always easy to find (the hotels understandably don’t want to provide bathrooms for the masses of people who shop at the show). We frequently use the one at the Days Inn on the north end of hotel row. There are also nice bathrooms off of the courtyard at the River Park Inn in the middle of hotel row. Bring your our toilet paper; the restrooms are sometimes out. Food: There are food vendors located throughout hotel row. There is usually a food court set up at the north end of hotel row in the courtyard of the Days Inn that has decent food (this year there was a decent Greek place that also served hamburgers and a Mexican place). Also next to the Days Inn is a Carl’s Jr./Green Burrito. The courtyard of the River Park Inn also has a nice restaurant by the pool with ample seating and alcohol service if the gem show is kicking your but and you really just need a seat and a margarita. ATM: Many hotels have ATM’s in their lobbys. I know that we have used ATM’s in the Days Inn Lobby before and also in the lobby of the River Park Inn, so if you are looking for one, these are good places to start. What you will find to buy here: EVERYTHING! 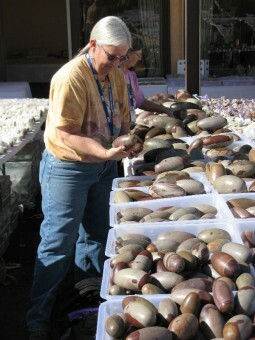 Hotel row has a eclectic mix of vendors, and so it offers a good sampling of everything available at the gem show. The hotels on the south end of hotel row generally have more of a “new age” theme to them (including the Clarion and Howard Johnson and others in their vicinity, south of the River Park Inn). It has been my experience that often times, they also have higher prices because of the market that they are catering to, but good deals can be found and often times the rooms in these hotels are rented out by healing practitioners of varying sorts, so it can be an interesting way to learn about different healing techniques. 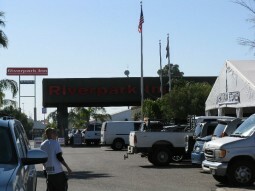 The Hotels on the north end of hotel row mainly include the River Park Inn and the Days Inn, but there are open spaces and parking lots between these two hotels that are filled with tents of vendors as well (and it is sometimes in these alleys between the hotels that you can find good deals). One of my favorite places to buy gemstone wands and an incredible variety of tumbled gemstones at great prices is called Topstones/Craftstones and the large tent at the north end of the River Park Inn Courtyard. Also, in the rooms of the River Park Inn I have found a collection of vendors with Tibetan singing bowls at great prices. For me, it is the courtyard of the Days Inn where all of the action is at (with he exception of the Baltic Amber dealers from Poland that are always located in the lobby). 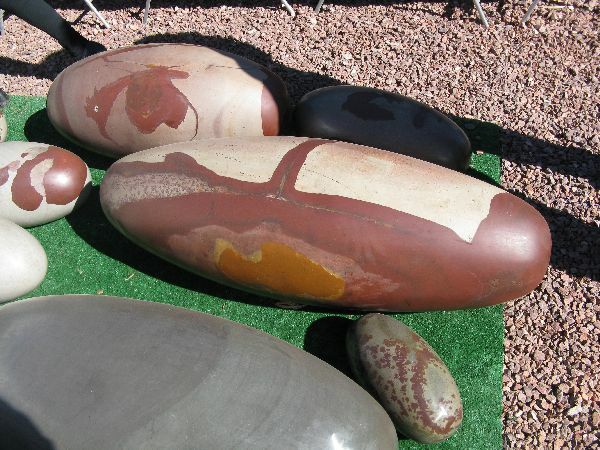 The courtyard is where the vendor is that I buy my Shiva Lingham stones from, and many of the vendors in this area specialize in stones that are shaped into wands, spheres, ovals and other shapes that are useful for healers and massage therapists. The parking lot on the south end of the Days Inn building is filled with tents of vendors selling stones. The vendor on the north east corner of this lot with the giant amethyst cathedrals is where we have purchased enhydro agates in the past (agates that are not cut and still have water inside them). The rest of the tents in this area and stretching down filling in the spaces in between the Days Inn and River Park Inn have a good selection of rough stones, carved stones and other goods imported from all over the world. You can find some interesting items and good deals here. Thanks so much! I can’t wait to check out your blog when I get home. I use the Swift theme which is very easy to customize and I know JUST enough about graphic design to be dangerous.